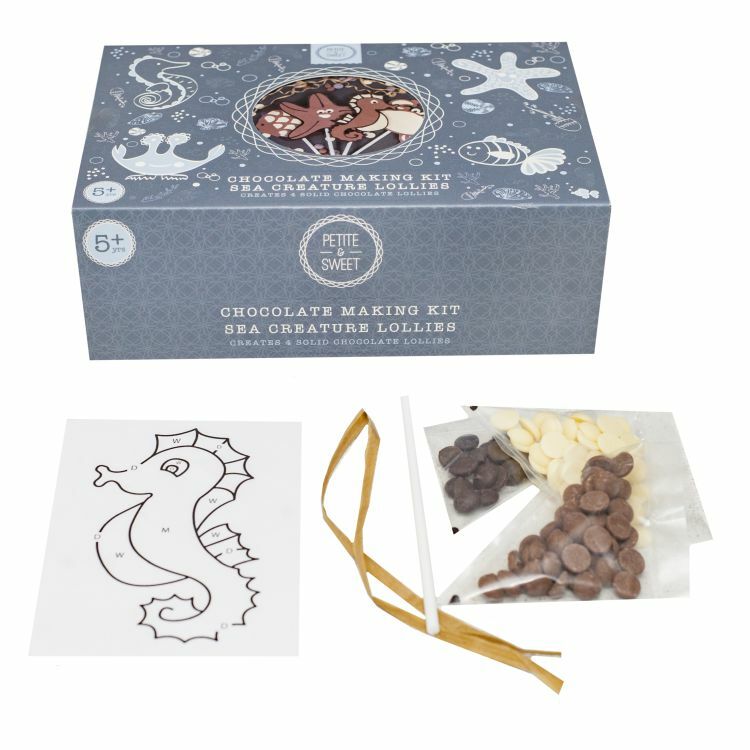 This kit contains everything you need to make your own delicious chocolate lollies! 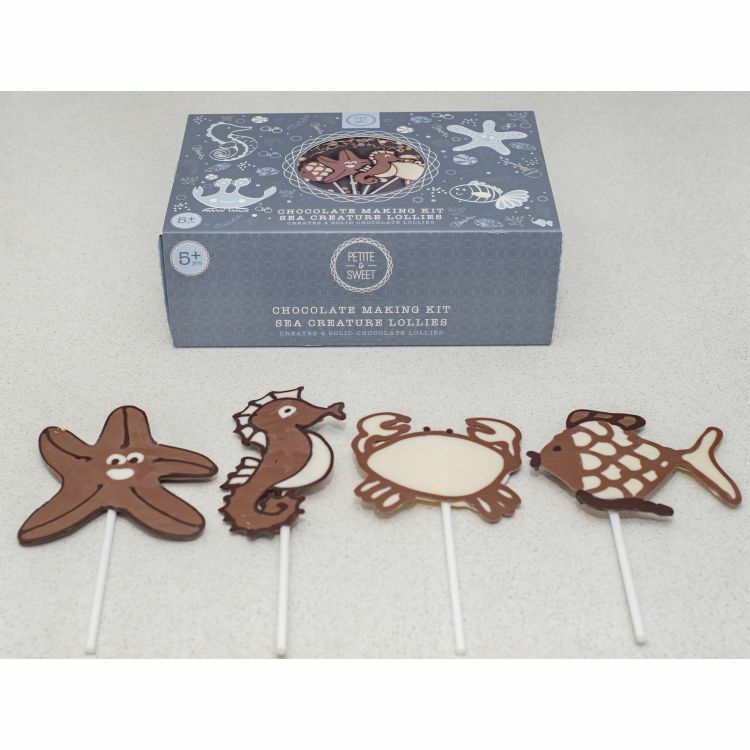 Create 4 solid chocolate lollies in the shapes of sea creatures. No need to buy any ingredients, this kit contains everything you need to get started, and the lollies can be made altogether or separately. Great fun for everyone who wants to become a chocolatier at home! All you need is a bowl of warm water and a pair of scissors. 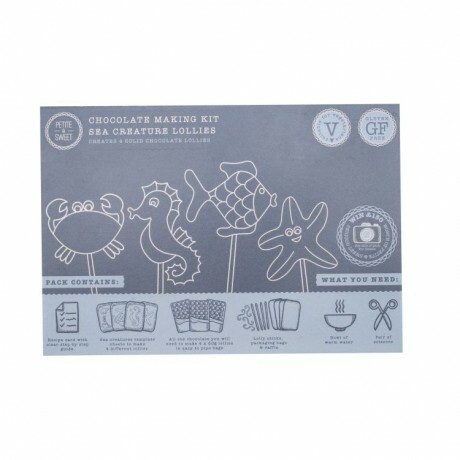 Suitable for both adults and children over 5 years old. Each lolly created is approx 50g. 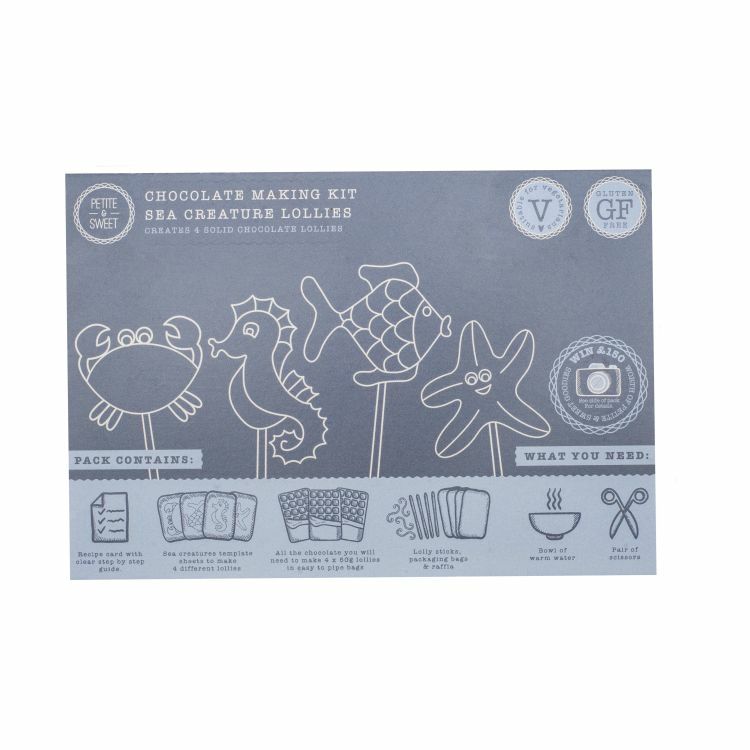 Petite & Sweet are trained chocolatiers who are passionate about sharing their chocolate knowledge with others. 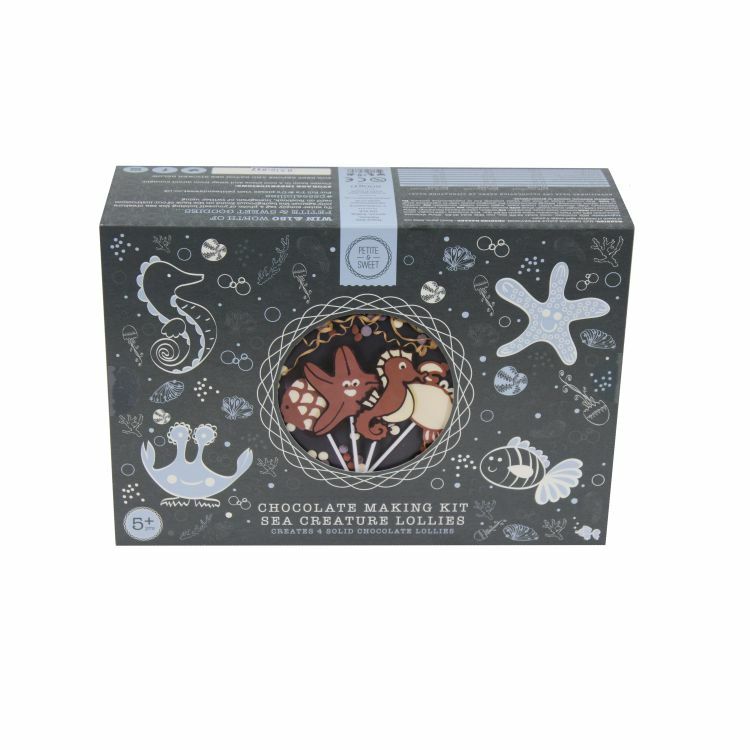 They hand package their products into luxurious packaging to make the perfect treat or gift. Their packaging is sourced locally and is designed and printed by local companies in Suffolk.